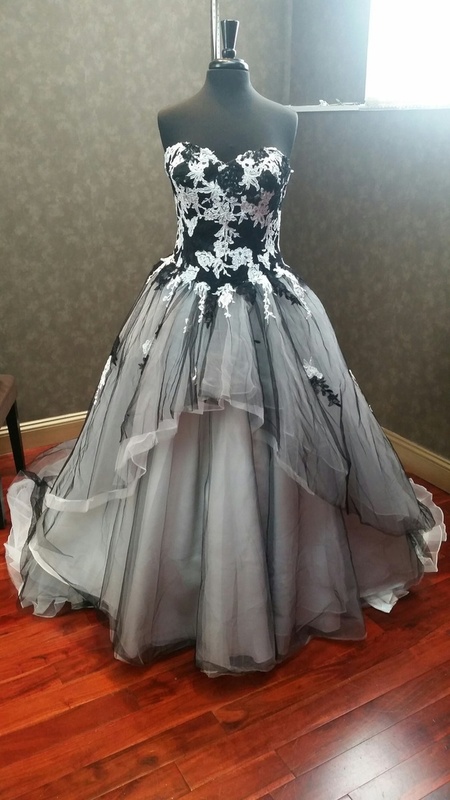 Stunning Gray Wedding Dress with Black and White Layers. This gorgeous gown will make jaws drop. Bodice is designed with a sweetheart neckline and layered Black and White Lace Applique. Skirt has several layers of Black and White tulle which create a Gray effect. Comes standard with a zipper back. Corset back closure (as shown) is $75 additional.